Texas Instruments and Google will be hooking up on the first device to run Ice Cream Sandwich, according to information gleaned this morning. The company let the news slip in PR email sent to CNET. The email includes a picture of Android wearing a large cowboy hat and Texas-sized belt buckle while holding hands with a woman Android wearing a dress made of ice cream. Ice Cream Sandwich is the upcoming version of Android that'll run on both tablets and phones. The OS will be smart enough to figure out which type of device the app is running on and then adjust accordingly. Now that we've got the goods on the chip manufacturer, all that's left to know is the hardware manufacturer and carrier. Being the premiere platform for a major Android release is important because it means the first devices to support it will be based on that hardware. NVIDIA's Tegra 2 platform, for example, became the lead platform for Android 3.0 and now nearly every Honeycomb platform uses that processor. 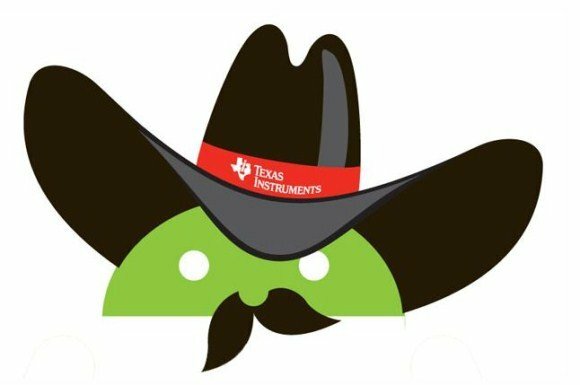 Is Android and Texas Instruments a match made in smartphone heaven? Or were you hoping for another chip manufacturer? Google already made a bad choice in selecting a company for “Google experience” — Now I wonder if they made another bad choice. Maybe the next Nexus will only have an un-lockable boot-loader in the USA. "That, and the fact that XOOM is only Google Experience in the USA makes me very uneasy about this deal." As I said in the German Blob: TI was the company who delivered eFUSE to Motorola to make there boot-loader positively uncrackable. That, and the fact that XOOM is only Google Experience in the USA makes me very uneasy about this deal.